Every edition of our Student Spotlight series gives us the opportunity to recognize a huge achievement in the lives of some of our student-artists. They each embarked on a personal journey, sought to hone a challenging skill, and put in tons of work and self-reflection to produce remarkable results. Whether they were enrolled in one of our acclaimed mentored online courses or working through a more personalized Headliners Club learning plan, each of these students went the extra mile and we could not be more proud. For this edition of the Student Spotlight, we are pleased to feature some outstanding songs — one completed in our brand new Intro to Making Music in Logic Pro X course, another applied their newfound command of harmony, and yet another took their work in musical theater to the next level with our TheoryWorks series. We also had some fantastic Headliners Club projects, including an impressive student-built website. Here’s the full playlist. Scroll down to hear a little more about each track and what each student set out to accomplish with the help of their Soundfly Mentors during their session. Tim: Jackie is a very talented singer, songwriter, composer and all-around great musician with a killer sense of harmony. Her songs are beautiful and compelling! Sırma: Chris had good taste since the beginning, but the difference between his first beat and the last is day and night to me. He has made such huge progress within these 6 weeks. He started with a couple of eerie synth lead melodies in the first week, and by the end of the course, he was at a level where he could build lush atmospheric soundscapes! We also focused on a few mixing techniques to balance out the heaviness of the bass elements in his music. Overall, I think Chris has come a whole lot closer to translating his vision into reality — and this track is the proof of that. It just sounds so massive and immersive! 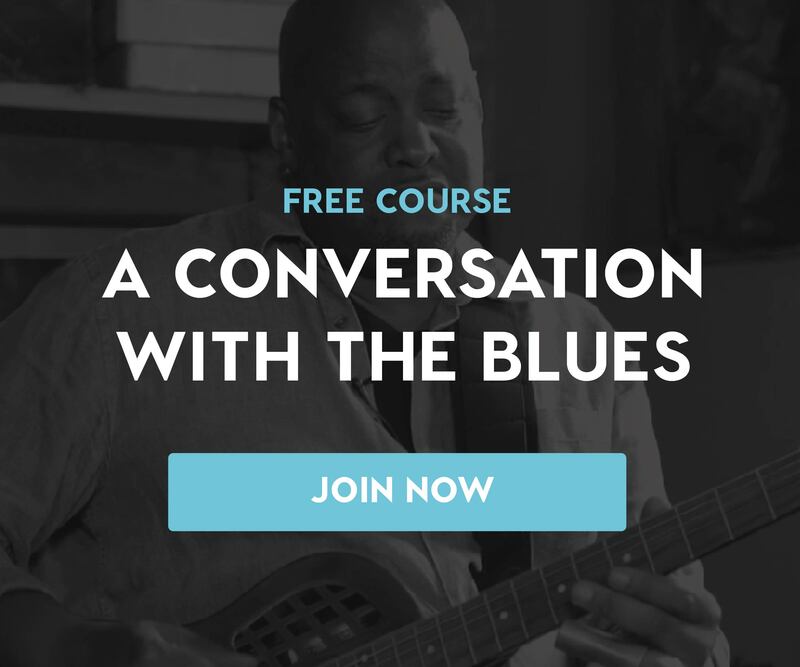 Joseph: Julia really locked into the process of writing chord progressions with a specific emotion in mind while taking the Unlocking the Emotional Power of Chords course. By the end of it, she was able to write interesting progressions toward emotion while embellishing the production aspect of her truly original style of music! Angela: Pete was a fantastic student! He embraced all learning opportunities and tackled them head-on. He’s diligent, hard working, and always ready to take his learning to the next level. Joseph: Mark’s original goal for Soundfly’s Advanced Harmony course was to break out of his sound and to make his music more contemporary sounding. His final project showcases his new knowledge of music theory from the course with a downtempo electronic sound refined with his personal mentor. Mark was an amazing student! Sam: When I first spoke with Sam, he wasn’t sure whether the Beat Making course was right for him since he was already familiar with Ableton’s basics. After talking it over, we decided to customize the content to address his interests in mixing, arrangement, mastering, and much more in addition to the course content. Sam ended up submitting incredible work each week, making clear progress on every track. He asked good, thoughtful questions and would apply the knowledge back into his music with great prowess. His natural talent as a keyboard player and drummer paired with his impressive production and mixing knowledge results in the fantastic work you hear in his spotlight feature piece. Keep an eye on his work! Ian: Shumaila is a highly talented musician, researcher, student, and ethnomusicologist drawing on some very interesting traditions but also trying to update and innovate within them. Coming up with a brand and website that communicates all that was a very big challenge, but she dove in and knocked it out of the park. Analise: I am involved in an in-development rock opera called Null Paradox. The really fun part about it is that I get to be part of my character’s development! Which is where my sight singing and harmonization training will come in handy. I help write the vocal lines and harmonies for my character’s songs, so I’m looking forward to working my new theory knowledge in in the recording studio! My favorite part about the course is that it has made me more inquisitive about song structure; and it has given me some of the language and tools I can use to analyze the music I hear everyday, music that I will create myself, and music that I will be working with as a musical theater actor moving forward. Amy: Analise is so special. She’s patient, curious, attentive, and crazy talented. But in addition to all that, she went above and beyond in this course. She learned every concept with ease, was so thorough in all her work, and even applied the concepts we were working on to multiple “bonus” pieces from her book. I am crazy proud of her. Our one-on-one mentorship programs are built on our belief that accountability and guidance can have a huge impact on students reaching their goals and developing their musical identities. We currently offer twelve mentored courses and a custom mentorship program called the Headliners Club. Our mentors are passionate, experienced musicians with a shared love of personalized learning and artistic curiosity. If you have any questions, feel free to reach out to us at: [email protected].